Edited by Machine, Sun Mar 10, 2019 8:20 PM. I love how thoroughly we are pen testing this table on a 20+ year old game, haha. I've also noticed a glitch when the ball is coming down the left flipped it will stutter and accelerate awkwardly toward the drain. Yes, if you are awarded an extra ball during the course of your game it is fair-play, use it. Edited by masematte, Mon Mar 11, 2019 8:31 AM. 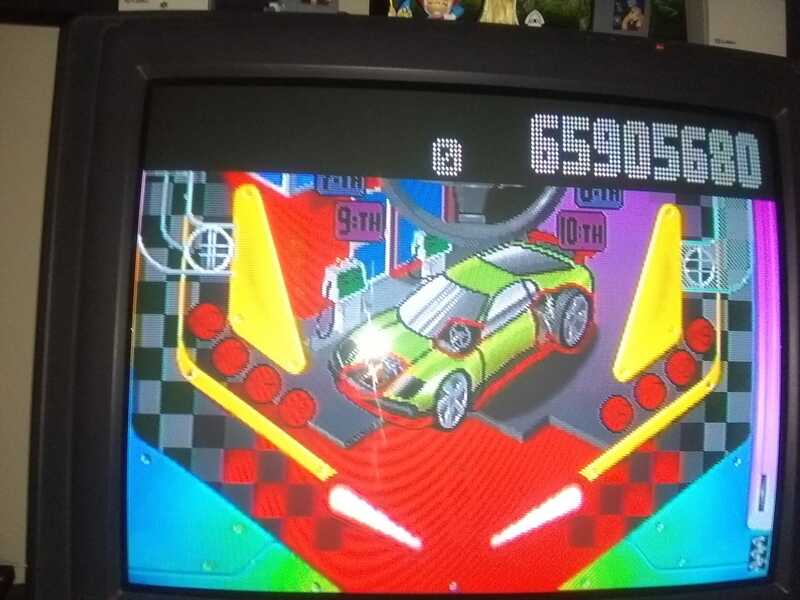 I've also noticed up top when you get your ball into the "Pit Stop" you get no points whatsoever. Seems like there are some bells and whistles on this table that are just that; have no impact on score. The P-I-T letters don't immediately impact your score. 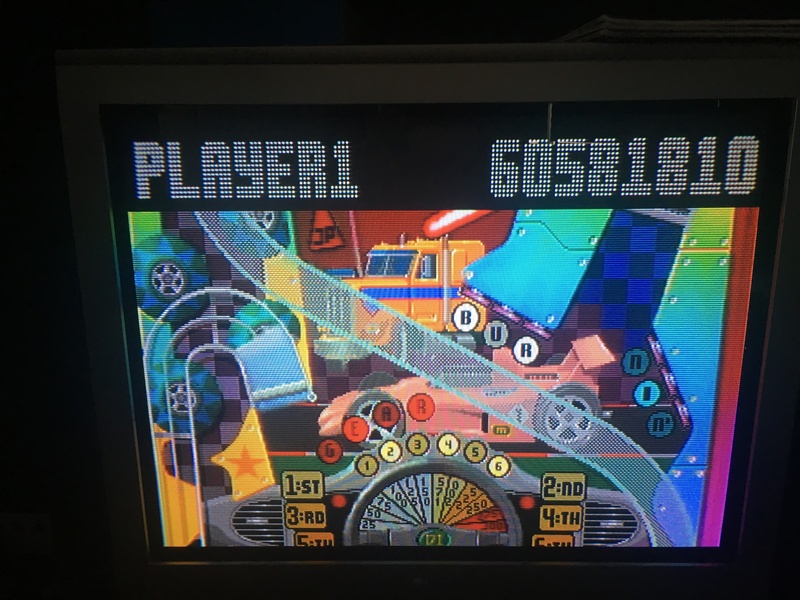 Here's how it works: once you illuminate all three letters, you have to get the ball down the Off-Road ramp (top left corner) to "cash in" the letters for a multiplier increase. And you can bank up your multipliers too. Get P-I-T and the letters reset, so you can get all three letters again. You can bank up a whole bunch of the letter sets before heading up the Off-Road ramp. Each set of P-I-T will allow you one multiplier increase once you hit the Off-Road ramp. Sometimes you shoot the ball up the Off-Road ramp and the bumpers at the bottom fling it back, so that you enable several multiplier increases in just one trip down the ramp. 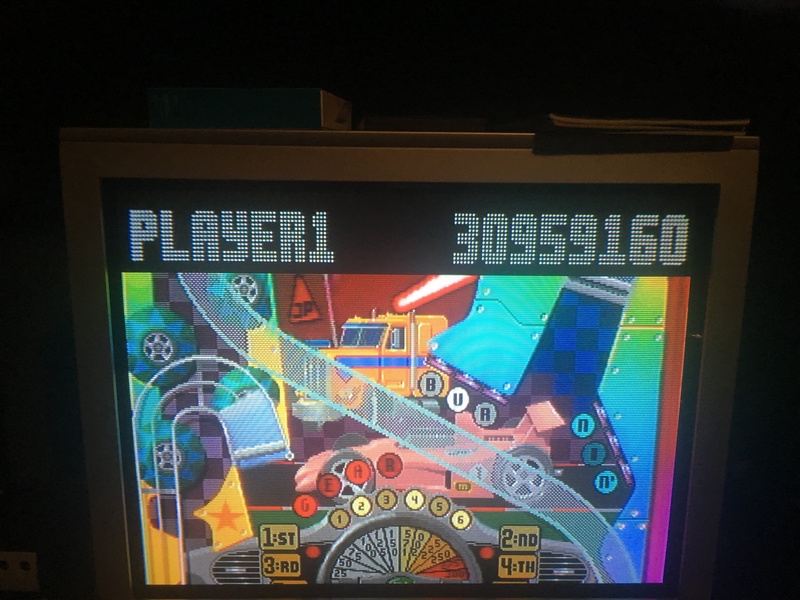 I usually try to build up this multiplier at the beginning of each ball, but the real way to boost your score is to hit the Mile ramps on either side of the screen. I have yet to find a reliable way to hit them. But you get a 100,000 point bonus at the end of each ball for every mile you've accumulated in that game. So if you can rack up ten on your first ball, that's an extra million points you'll score on every successive ball, even if you score zero points with those balls otherwise. The manual describes how the scoring works. It's just that I have such a hard time keeping the ball in play long enough to activate the later score techniques. He's talking about the pit stop which is a different thing. It's been years since I've competed in the Jag HSC. Props to Nuc and Machine for some solid scores. Here is my best score so far. The ramp near the bottom left is hard to hit and has a high risk/reward factor. Woot! Beat you by about 20k. Ah, sorry. I think that's one of those scoring mechanics that comes into play way later than my lack of skill allows for. Machine you are about to roll over to zero's on this one! Okay i'm going to give this one another try soon and then move on mentally to the next round.....lol. 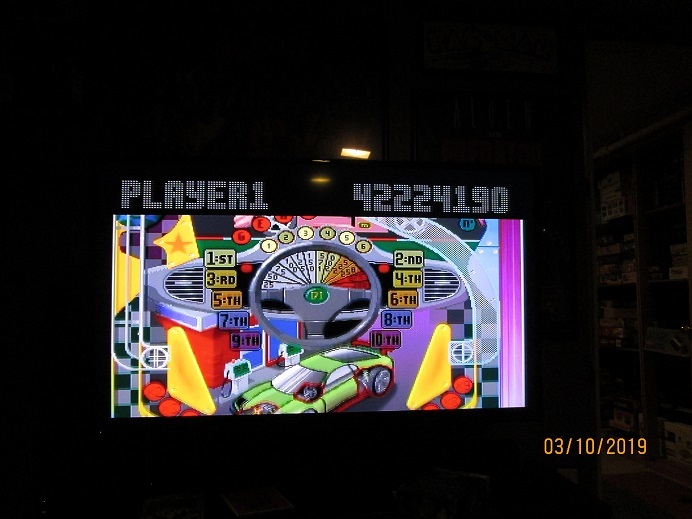 This is a tough and frustrating table but I'm getting better: 43,971,850. Not sure if I'll have time to try again today. Wow; what a wildly competitive first round!! Congrats to the top three! I can't imagine this table has ever seen higher scores.. Onward! This table has many features that are extremely hard to access and with it so hard to get an extra ball and some areas resetting after each ball, I don't know if I ever will. The speedometer, I never got higher than 25 or 50 and I think the highest I ever placed in the "race" was 8th. 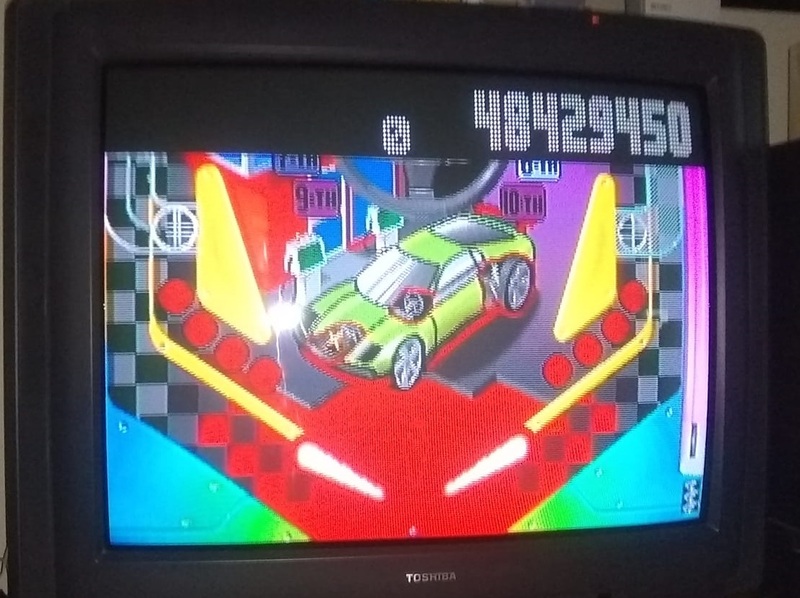 On the Pit Stop portion of the top of the table, I know I was close to lighting up the first of three lights to the Pit Stop and getting an extra ball, but never did and that resets after each ball. Getting the Off Road bonus was hard to access as well.